LLAWEN is the Literacy and Language Awareness in Education Network for Wales. LLAWEN represents a network of academics, classroom teachers and literacy experts who are working together to improve the way teachers can be supported in developing their confidence and competence in delivering the literacy aspects of the Literacy and Numeracy Framework in Wales in both English and Cymraeg. 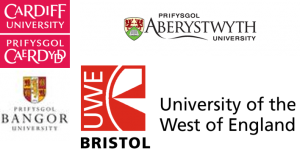 The key academic partners in the network include Lise Fontaine (Cardiff University), Jessica Clapham (Bangor University), Joan Foley (UWE) and Susan Chapman, (Aberystwyth University). According to the Donaldson report for Wales, developing competence in literacy, which necessarily includes grammar*, must be done through “a sound understanding of [the skills’] essential components …”. Learning to manipulate language, etc.